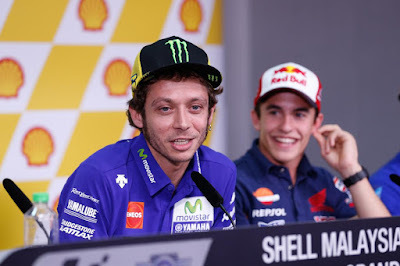 Home 2015 Marc Marquez motogp Movistar Yamaha MotoGP Repsol Honda Team #MalaysianGP SHELL MALAYSIA MOTORCYCLE GRAND PRIX Valentino Rossi "Marquez would prefer Lorenzo to win"
"Marquez would prefer Lorenzo to win"
After the Malaysian GP Pre-Event Press Conference Rossi spoke to the Italian media about his comments on Marquez helping out Lorenzo. Do you think that Marquez helped out Lorenzo at Phillip Island? 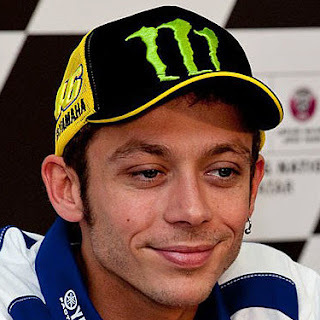 So why did he eventually also overtake Lorenzo? Why do you think he did this? Is it something that motivates you or makes you angry? Because he used to idolise you, did you think this wouldn't happen? Was it better with Biaggi, because he at least made his feelings clear? Did this all begin in Laguna Seca? Wanting to make a literary comparison, since we are in Malaysia, do you feel like Sandokan fighting Yanez? "I would not know. I do not think that there is this difference between me and Lorenzo. I think we're both brave, each in his own way, and also a bit cunning." For me it was a big disappointment, I was upset, it was from a few races ago that I knew, but I did not expect him to do something so obvious. I feel disappointment, regret and worry, because surely he will try to do it here and also in Valencia.